Samsung don’t hesitate a moment after MWC opening to show off their next generation wearables, the successors of 2013 Galaxy Gear. One main important point is Samsung dropped GALAXY word from the name as well as Android inside and decided to give its own TIZEN OS a massive operation to run out in the wild. 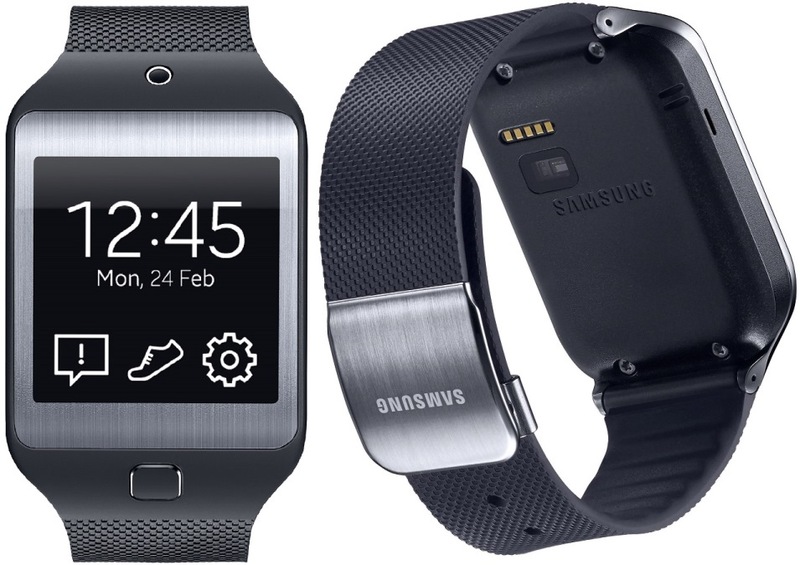 Newly unveiled Samsung Gear 2 and Gear 2 Neo design is not too far away from the original Gear Smartwatch. No matter both the Gear 2 and Gear 2 Neo are thinner and lighter than the previous one but Samsung claims that switching to Tizen allows for battery life of two to three days, which is twice as long as the original Galaxy Gear managed. 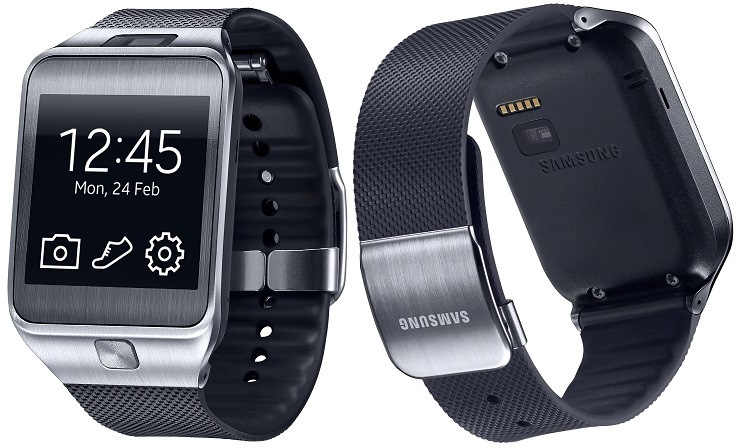 The Gear 2 and Gear 2 Neo feature the same 1.63-inch Super AMOLED screen with the resolution of 320 x 320 that was seen on the original Galaxy Gear. The 1 GHz processor is slightly faster, while the internal storage and RAM are the same at 4 GB and 512 MB. New additions include an IP67 certification which means that these watches are dust and water resistant, a heart rate sensor and IR blaster for remote control of your home appliances. The battery has been downgraded to 300 mAh, but Samsung claims that battery life will be significantly better. The only major difference between these two devices is that the Gear 2 Neo does not come with the 2 MP camera that is included on the Gear 2. This allows the Gear 2 Neo to be 13 grams lighter than Gear 2. The Gear 2 is 68g, whereas the Neo is 55g; both are lighter than the original. Talking about design the camera is now built into the front of the watch alongside the IR blaster, which is much better than the original Gear's distracting wart on the wristband. The mic, formerly on the clasp of the strap, has now been moved up to the body of the device itself; this means that Samsung will now let you swap the wristband with either Samsung-specific models or third-party versions. It also features a home button just below the display instead of on the side, like the previous version. Both Smartwatches to be available globally starting this April, but their pricing is yet to be confirmed. One good news is both models will be compatible with "more than dozens" of Galaxy smartphones when it launches. The Gear 2 will come in Charcoal Black, Gold Brown and Wild Orange, while the Neo replaces the Brown for a Mocha Grey hue. Read the Samsung Press Release containing more information regarding Gear 2 and Gear 2 Neo wearables.